SAN JOSE, Costa Rica–On July 12th a complete article in LA NACION, Costa Rica’s main newspaper informed of the new flights and airlines that will start operations to Costa Rica. On August 16th Avianca Airlines Costa Rican division under the name of LACSA will start flights from San Jose to Santiago, Chile via Bogota and from San Jose to Rio de Janeiro, Brazil always via ElDorado International Airport at the Colombian capital. 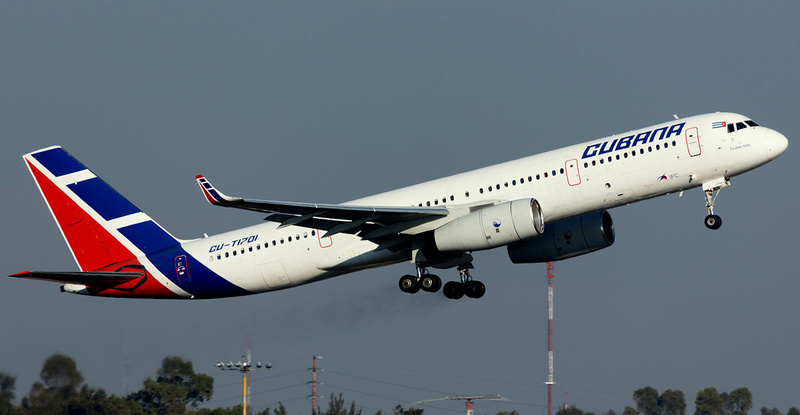 Also in August Cubana Airlines (the flag carrier of Cuba) will reinstate flights between Havana and San Jose. The airline used to operate the routes some years ago until it code shared it with TACA. Last year TACA suspended the route linking Cuba with Costa Rica. By November 1st the American carrier JetBlue Airways will open Boston-Liberia flights. For the end of the year the Civil Aviation of Costa Rica (DGAC) will have the final permits of the certification process of Air Costa Rica (Tica Air International) a new Costa Rican airline. The airline plans to start flights to Miami, Managua, Panama and San Andres Island. A second phase would include Quito, Guayaquil and Havana and a third phase would include New York and Los Angeles, routes once operated by LACSA. A second Costa Rican carrier, TICOS AIR has not been able to move forward in their certification process explained Alvaro Vargas, the director of the aviation department. Also Salvadorian start-up VECA Airlines is expected to obtain final permits to operate San Salvad0r-San Jose run. Vargas also mentioned Brazilian airline AZUL Linhas Aereas has been interested in learning about permit processes. Other airlines that have been metioned as interested in Costa Rica include Southwest Airlines, Alaska Airlines, Allegiant, Eastern Airlines, TAME of Ecuador and CONVIASA of Venezuela. Cubana Airlines will start Havana-San Jose flights in August. This entry was posted in Avianca, Brazil, Chile, Colombia, Costa Rica, El Salvador, Juan Santamaria International Airport, LACSA, Latin American Airlines, Liberia International Airport, TACA and tagged Avianca, Azul Linhas Aereas, JetBlue Airways, LACSA, TACA, VECA Airlines. SAO PAULO, Brazil–Low Cost Carrier Azul Linhas Aereas Brasileiras S.A. announced it has ordered an Airbus A-330 airliner to start flight operations between Sao Paulo (Viracopos Airport) and Fort Lauderdale, Florida and New York-JFK. David Neeleman the Azul’s CEO wants the airline to connect with both of JetBlue’s connecting hubs. The Brazilian newspaper “Folha de Sao Paulo” indicated that Azul’s service to the United States should start before the end of 2014. This will be the third Brazilian airline to operate to the U.S. after TAM Airlines (Miami, Orlando and New York-JFK) and GOL Airlines (Miami). Azul Brazilian Airlines will operate Airbus A-330 to Ft. Lauderdale and New York-JFK. This entry was posted in Airlines, Brazil, Latin American Airports, Latin American Flag Carriers, Latin American Low Cost Carriers and tagged Azul, Brazil, Ft. Lauderdale, GOL Airlines, JetBlue, New York-JFK, Sao Paulo. LA PAZ, Bolivia–Effective May 23rd, the Bolivian flag carrier Boliviana de Aviacion (BoA) will start non-stop flights from La Paz to Miami. The news were announced by the airline general manager Ronald Casso at a news conference in the Bolivian capital. The airline will operate wide-bodied Boeing 767-300, like the ones its already using to Madrid. Boliviana de Aviacion operates Boeing 737-300s to Buenos Airres and Sao Paulo. Casso declared the airline’s next airport in the U.S. after Miami International will be Washington-Dulles. The biggest ethnic concentration of Bolivians is precisely in the U.S. capital. In 1925 Guillermo Kyllmann founded in Cochabamba LAB Airlines (Lloyd Aereo Boliviano). 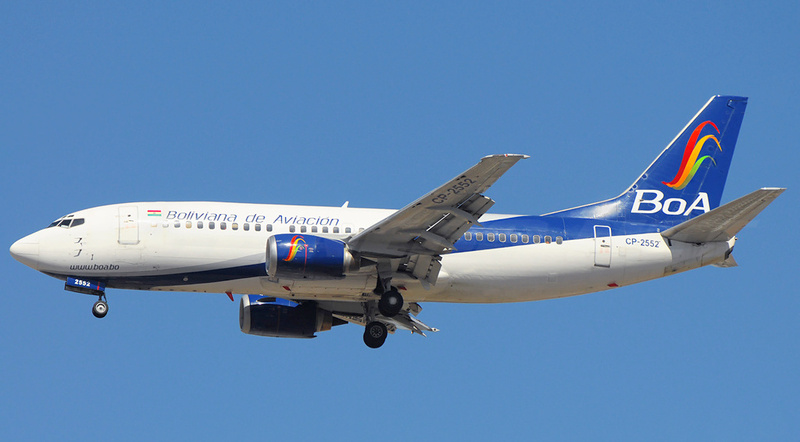 The airline served as Bolivia’s flag carrier until it ceased operations in 2008. In April 1992 another Bolivian airline was founded under the name of AeroSur; and it suspended its operations on May 2012. Boliviana de Aviacion (BoA) is expected to also extend its operations to other ALBA counties like Venezuela and Cuba. Boliviana de Aviacion (BoA) has a fleet of Boeing 737s and 767s. This entry was posted in Bolivia, Brazil, Caracas, Defunct Latin Airlines, Latin American Airlines, Latin American Flag Carriers, South American Airports, Venezuela and tagged AeroSur, ALBA, Boeing 767-300, Bolivia, Boliviana de Aviacion, Cuba, La Paz, Lloyd Aereo Boliviano, Miami, Venezuela. MIAMI, Florida–In 2009, a professional group of airline managers acquired the intellectual property of Eastern Airlines to develop a new business plan and financing plan to re-launch the airline. 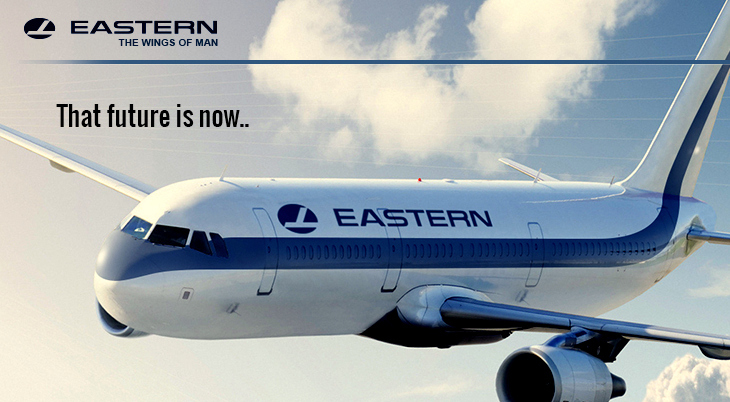 The team put together a plan to re-launch Eastern to be based at Miami International Airport. It quickly established working relationships with strategic partners including the Miami Airport Authority, Amadeus and Airbus. Eastern’s relationship with Amadeus dates back to Eastern’s reservation system, called System One. This system was eventually sold by Eastern Airlines and later became the core of the Amadeus system. Eastern Airlines also has a special and unique relationship with Airbus dating to 1972, when Eastern Airlines became the launch airline customer for the Airbus A-300. The team developed a multi-level business and financing plan that is being used to raise the capital required for Eastern Airlines to certify under FAA Regulation Part 121. That work has commenced, led by one of the industry’s leading certification consultants, Locked On. Today, the new Eastern Airlines is working with various industry-leading aircraft leasing companies to assemble a fleet of A-319s and A-320s aircraft. In addition, Eastern Airlines has moved into its headquarters office space at Building 5A at Miami International Airport, which was the former “Eastern Operations Center”, a four story building at the corner of Le Jeune Road and 36th Street, and which once housed all of Eastern’s system control and maintenance control centers, and other operating units. The new Eastern Airlines is expected to operate flights from Miami International Airport to the Caribbean and Central and South America. The new Eastern Airlines will operate a fleet of Airbus A-319s and A-320s from Miami International Airport to the Caribbean and Latin America. This entry was posted in Airlines, Brazil, Cancun, Central American Airports, Chile, Colombia, Costa Rica, Ecuador, El Salvador, Guanacaste, Honduras, Juan Santamaria International Airport, Latin American Airports, Medellin, Mexico, Panama, Peru, Quito, Rio de Janeiro, South American Airports, Venezuela and tagged Amadeus, Central America, Eastern Airlines, Ed Wegel, Latin America, Miami International Airport, South America, System One, The Caribbean, The Wings of Man. RIO DE JANEIRO,Brazil–Aeroportos do Futuro will be the company to bring Rio de Janeiro’s Galeao-Antonio Carlos Jobim International Airport to the next level, to convert it in a “Super Mega Airport”. ADF is a consortium made up by the Brazilian construction company Odebrecht and the Singapore Changi Airport and will operate the Rio airport for 25 years. Aeroportos do Futuro will invest 1590 million dollars for the remodelling and expansion of Galeao. The first phase will include 26 new gates, a new ramp and a new car parking lot. This phase should be ready by January 2016. The second phase will include more boarding gates and a new runway. 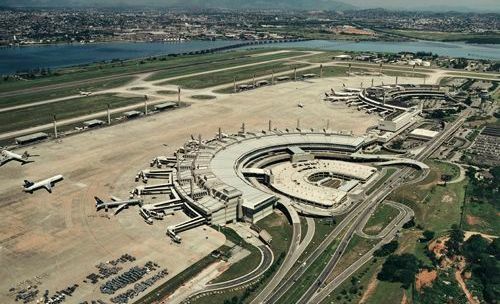 The Galeao-Antonio Carlos Jobim International Airport is the second busiest aiport of Brazil (just after Sao Paulo-Guarulhos). For 2038 the airport is expected to handle up to 60 milllion passengers a year, from 17 million what handled in 2013. The aiport is located 13 miles from Rio’s downtown at the Ilha do Governador (Governor’s Island) on the shores of Guanabara Bay. TAM, GOL, Avianca and Azul are the primary Brazilian airlines that operate from Galeao. Aeroportos do Futuro will make Rio’s Galeao a “Super Mega Airport”. This entry was posted in Airlines, Brazil, Rio de Janeiro, South American Airports and tagged Avianca, Azul, Brazil, Galeao-Antonio Carlos Jobim International Airport, GOL, Guanabara Bay, Rio de Janeiro, TAM. MANAGUA,Nicaragua–The Venezuelan flag carrier CONVIASA (Consorcio Venezolano de Industrias Aeronauticas y Servicios Aereos) started one weekly flight connecting Caracas with the Nicaraguan capital. The second Central American city after CONVIASA started daily flights to Panama City. The airline is going through expansion plans that include new Brazilian Embraer E-190s. In addition to Managua and Panama City the flag carrier connects Caracas with Bogota, Colombia; Buenos Aires, Argentina; Dominica, Grenada, Havana, Cuba; Madrid, Spain and Port of Spain, Trinidad & Tobago. Future cities include Georgetown, Guyana; Lima, Peru; Manaus and Sao Paulo in Brazil; Mexico City; Paramaribo,Suriname; San Jose, Costa Rica; San Salvador, El Salvador; and Santa Cruz, Bolivia. It also has been rumored CONVIASA will try to start non-stop flights to Miami, Florida or in any case via Managua. The airline has a fleet of one Airbus A-340-200, two Boeing 737-300, four Bombardier CRJ700 and six Embraer E-190s. CONVIASA’s E-190 are used for the Caracas-Managua run. This entry was posted in Airlines, Argentina, Bolivia, Brazil, Colombia, Costa Rica, Cuba, El Salvador, Latin American Airlines, Latin American Flag Carriers, Mexico, Panama, Surinam and tagged Argentina, Colombia, CONVIASA, Costa Rica, Dominica, E-190, El Salvador, Embraer, Grenada, Guayana, Latin American Flag Carrier, Nicaragua, Panama, Spain. TAM’s new Airbus A-320 with “Sharklets” takes off Tolouse. TOLOUSE, France. 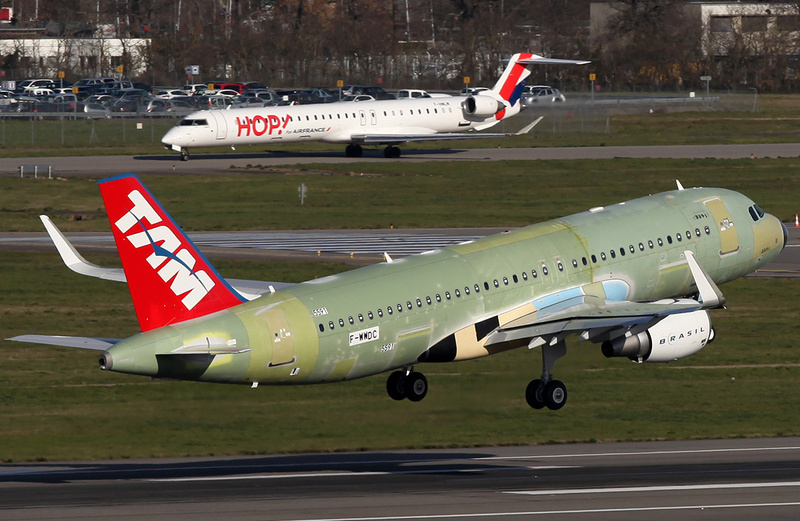 — On March 21st TAM’s first Airbus A-320 with “Sharklets” took off from Toulouse Blagnac for try out flights. Once the airplane is painted in TAM’s full livery, it will be registered as PR-MYY. 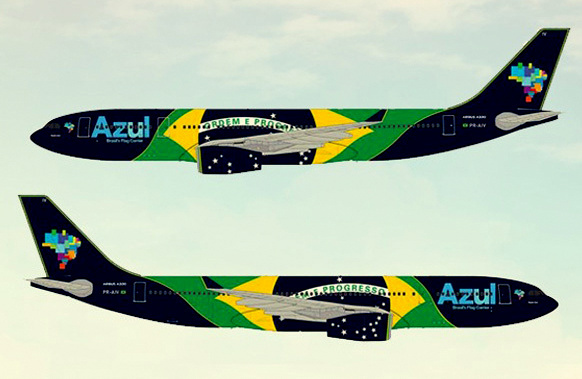 The Brazilian carrier will be the second Latin American airline to fly the Airbus “Sharklet”. Colombian flag carrier AVIANCA was the first one to operate the new airliner. This entry was posted in Brazil, Latin American Airlines, Latin American Flag Carriers, Sharklets and tagged Airbus A-320, LATAM, Sharklets, TAM, Tolouse.